Here’s the key part: No one is denying it. It has legs, all right. Ones longer than a giraffe. 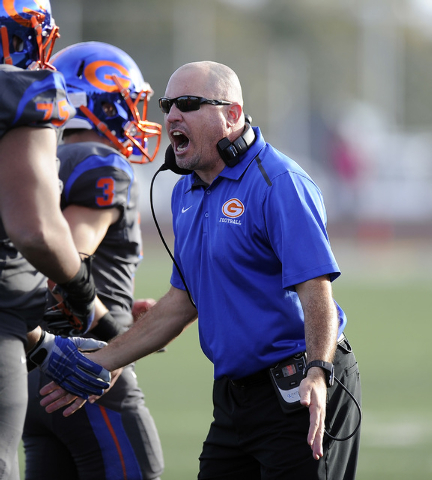 Tony Sanchez is the football coach at Bishop Gorman High and will remain in that capacity until after the Gaels play for a sixth straight state championship Saturday against Reed in Reno. After that, Sanchez could have the same house but a new job. 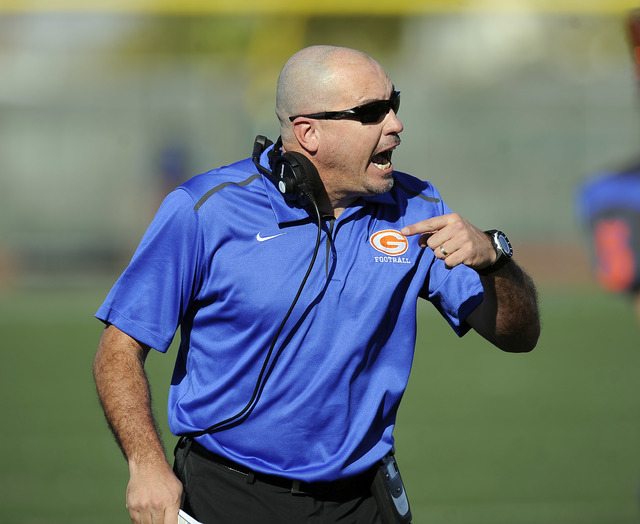 The Gaels on Saturday dismissed Liberty 50-0 in a state semifinal at Rancho High, after which Sanchez addressed the reports that he is a leading candidate to replace Bobby Hauck as the coach at UNLV. “I have a great job at Bishop Gorman right now, and we’re just trying to finish the season the right way with these kids,” Sanchez said. “It’s hard to answer questions (about UNLV). At the end of the day, the only thing at the forefront of our minds has to be going to Reno. We’ve had six years leading up to this point, to playing a national schedule, to going through it undefeated and wanting to be the best team in the country. We are right there. Life is about finishing. We just want to finish it. The Sanchez to UNLV whispers have been circulating locally for some time, with the understanding that with Sanchez would come the financial support of Lorenzo Fertitta, whose family name is attached to the Gaels’ football field. Lorenzo Fertitta Jr. played at Gorman and is now a defensive back at Villanova, and another son, Nicco, is a senior safety with the Gaels and a Notre Dame commit. Sanchez would have much to prove at the college level. Other incredibly successful high school coaches (Gerry Faust at Notre Dame and Akron and Gus Malzahn as an assistant at three schools before landing the head coaching jobs at Arkansas State and then Auburn) have made the jump with varying degrees of success. Could Sanchez hire a capable enough staff at UNLV? Could he recruit well enough to what has been a losing program for decades? Would his aggressive nature on the sidelines play well with older kids? They are all important questions as to how Sanchez might prove as a college coach, but none of it would mean anything if the Rebels couldn’t provide him with the facilities and support the next person in charge at UNLV needs to have any chance at finding success. Fertitta attended the University of San Diego, but was born and raised in Las Vegas and attended Gorman. The owner and CEO of the Ultimate Fighting Championship has a reported net worth of $1.5 billion, and UNLV’s tennis complex is named for his parents, Frank and Vicki. Fertitta on Saturday didn’t specifically address Sanchez as a candidate for UNLV or what involvement he might have in helping the Rebels, but if you study where he has supported different facets financially, it almost always comes back to a similar theme. “One thing my Dad always instilled in us is that we were very blessed and that it was important to give back to this city,” Fertitta said. “Of course, I want (UNLV football) to be good. I was here when the basketball team was the best in the country. I saw how that brought this town together. “I believe if the football program became great, you would see that kind of support from the town. When we think about (donating money) for anything, one of the main things is that we give back and make things better for other people. There is no way around this: UNLV needs a football facility to compete. It needs the money to hire top-level assistant coaches and to furnish its players with the sort of training table and academic support other Mountain West schools already offer. It’s a million miles from competing in the arms race of today’s college game, and desperately needs someone to help it get in the game off the field as much as on it. This thing has legs, all right, and it’s not difficult to see why. A week from now, things could (will?) change. Las Vegas Review-Journal sports columnist Ed Graney can be reached at egraney@reviewjournal.com or 702-383-4618. He can be heard from 11 a.m. to 2 p.m. Monday through Friday on “Gridlock,” ESPN 1100 and 100.9 FM. Follow him on Twitter: @edgraney.